In the last couple of years more and more cruises from all around the world are anchoring in Israel. The docking is usually for about 48 hours and the cruise guests get the rare opportunity to visit Israel and enjoy all the things the Holy Land has to offer. As part of the market, we at Yourway initiated tours fit especially for people coming to Israel with a cruise. 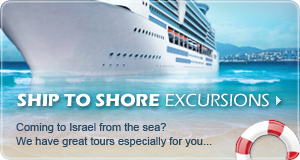 The tours leave from Ashdod Port or from Haifa Port and are adapted with the docking hours. The tours are private tours for 4-11 people, accompanied by a private guide and a car. Thanks to this initiative, tourists can now enjoy tours to all parts of the country without any effort or unnecessary extra pay. So here are a few recommended tours that leave from Ashdod Port to the best places in Israel. Join us on an unforgettable experience in the most special city in the world. Jerusalem is one of the most famous cities in the world and was already mentioned in biblical times, which makes it one of the oldest cities in the world. The tour will take you inside Jerusalem’s Old City where you’ll visit famous sites such as; The Western Wall, The Holy Sepulcher where Jesus is buried and the Old Cities’ colorful markets. So don’t hesitate leaving the ship… there’s so much to see outside. Tel-Aviv is close to being the complete opposite of Jerusalem. 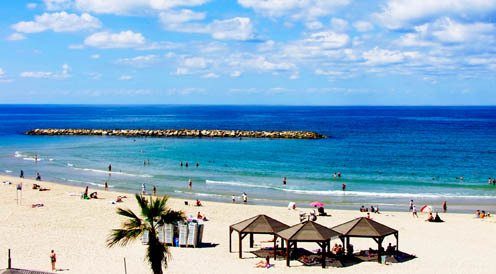 Tel-Aviv is a beach town on the shores of the amazing Mediterranean Sea and is blessed with 14 kilometers of beaches. This city is considered the entertainment capital of Israel; its five word slogan says it all- “The City That Never Stops”. Join us in visiting the best and coolest western city in the Middle East; fantastic restaurants, clubs that are open all night, amazing beaches, an abundance of culture and art and above all a special vibe. What hasn’t been said about the Dead Sea? It’s the lowest place in the world, it’s one of the wonders of the world, it has a healing quality for skin problems and much much more. 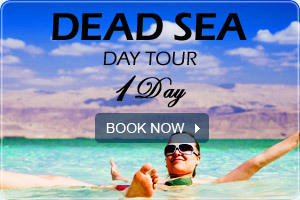 For those exact reasons we invite you to join us on a trip that will illustrate for you why the Dead Sea is such a famous and spoken about place. From the moment you arrive there you’ll understand what all the fuss is about… it’s hard to describe how special it is until you’ve actually been there yourself. So all that’s left for you to do is to book your tour and patiently wait for the desired day… because you’ll never forget this tour!! There’s no need to go very far from the Haifa Port area to visit one of the most beautiful and interesting areas in Israel. We invite you on a tour along the northern beaches of Israel- Haifa, Acre and Rosh Hanikra. 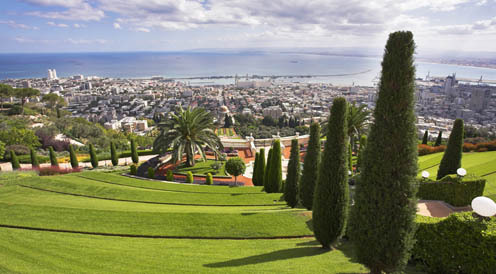 In Haifa we’ll visit one of the most impressive sites in the world- The Bahai Gardens. From there we’ll continue on to the Old City in Acre and visit the Crusader Fort, the streets of the Old City and the local market. Then we’ll take a short car ride to Rosh Hanikra- the most northern point alongside Israel’s’ coast where you’ll go on an amazing cable car and hear the story of the area. Explore Israel with top - guidance and pure joy. 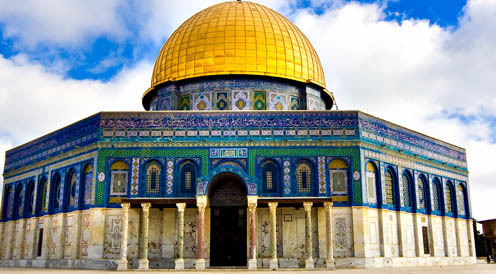 We make sure you are provided with Israel's finest tour guides. We bundle hotels along with our multi-day tours for a hassle-free (yet successful) booking. Upon tour booking confirmation, our tours always depart (with no worries of cancelation). We provide 24 hrs service so you'll never be left with no help in hand.